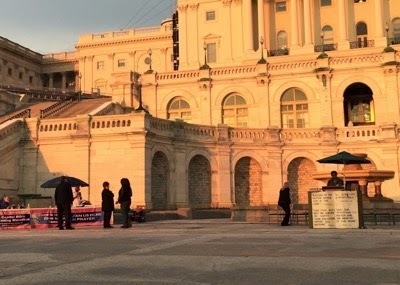 I don’t get out to Washington D.C. much, but when I do the last thing I want to see is a bible reading marathon on the steps of the U.S. Capital building. But yes…. they were reading the bible and I was there. I see what you Christians did there. Reading the Bible is not praying. You got around the letter of the law, but violated its spirit. That’s clever for sure, but I’m calling it dishonest.